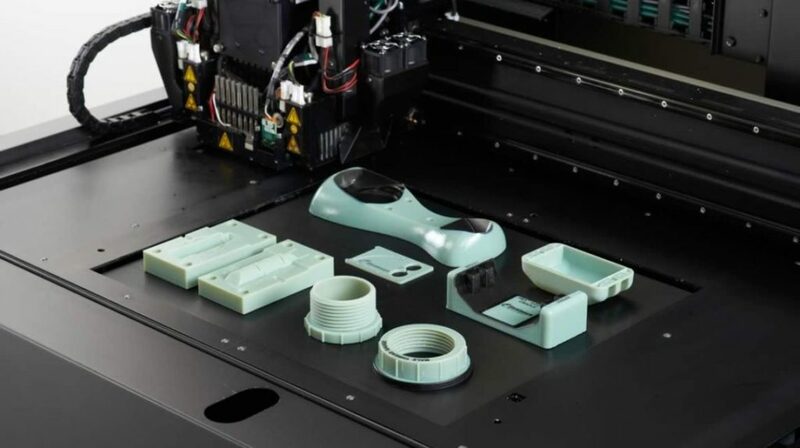 Material Jetting 3D printing enables the multi-material production of parts with accuracy and minimal material waste. It is used for medical models, prototypes and casting patterns. Ideal for visual prototypes and industrial tooling. Useful in the production of anatomical medical models for pre-surgical and education purposes. How does the Material Jetting 3D printing process work? Material Jetting deposits tiny droplets of a liquid resin and then cures it with UV light to form the object layer by layer. Don't be shy, get in touch with us.